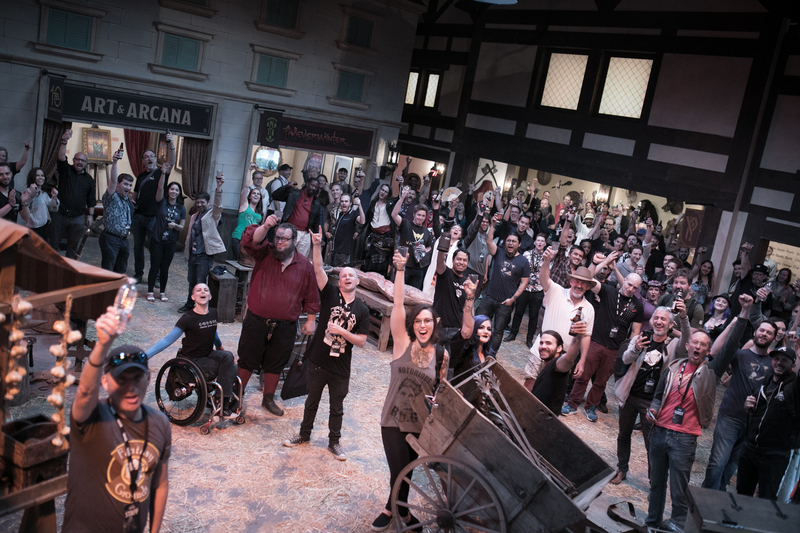 Mingle with D&D Luminaries, Grab Exclusive Merch, and Play in a D&D Epic! 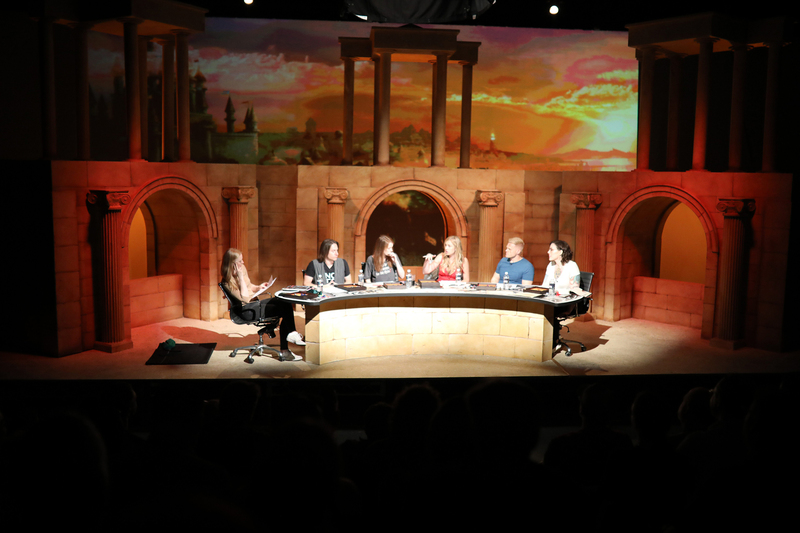 D&D Live 2019: The Descent celebrates the Dungeons & Dragons community as they gather both online and at a studio in L.A. to learn about D&D’s latest storyline through an immersive entertainment experience. Following last year’s award-winning Stream of Many Eyes, this year’s D&D event gives fans the chance to play through an epic adventure plunging them into a captivating new story. The three-day extravaganza includes sneak peeks at upcoming products, signings with D&D luminaries, musical performances, unique giveaways, amazing cosplay, and tons of twenty-sided dice rolling critical hits! 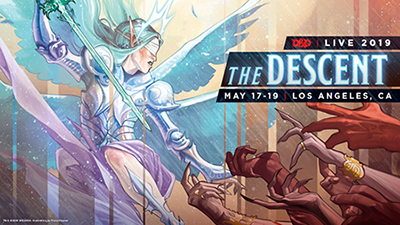 Fans around the world can check out twitch.tv/dnd starting at 4:00pm PT on Friday, May 17 to watch D&D Live 2019: The Descent for new product reveals and an all-star cast playing Dungeons & Dragons live. Detailed schedules and cast lists to follow soon! Check back here for more information or follow us on Twitter & Facebook for updates on #DNDLive2019! Find Out the Next D&D Storyline! Jump Into Playing the New Story! Watch D&D Entertainment Every Night! 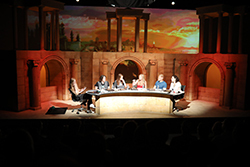 Join the studio audience watching Dungeons & Dragons played live by D&D’s biggest celebrities on Friday and Saturday nights. 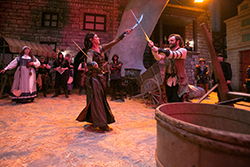 The story will be told in two parts and will feature Dungeon Masters such as Jeremy Crawford, Kate Welch, and Chris Perkins from the D&D team. Meet Your D&D Heroines & Heroes! Celebrate the D&D Community with Music! 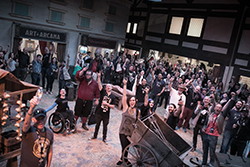 Join the fun at #DnDLive2019! Come as you are or cosplay as a tiefling warlock, elven bard, or your favorite character! Complete an improvised quest led by costumed performers for a chance to earn exclusive loot. 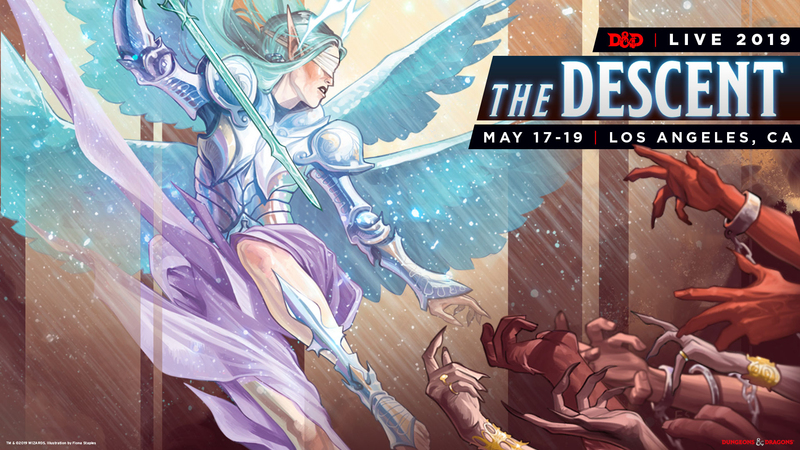 Gourmet food trucks, exclusive D&D swag, plus the chance to interact with D&D game designers, artists, and performers round out the weekend-long celebration of Dungeons & Dragons at D&D Live 2019: The Descent! Download a desktop wallpaper of the art for D&D Live 2019: The Descent created by Fiona Staples (Saga) here! 3-Day badges are now available to the event! Dungeons & Dragons is pleased to welcome the following special guests to the event! Dungeons & Dragons is also pleased to welcome the following partners and vendors to the event!